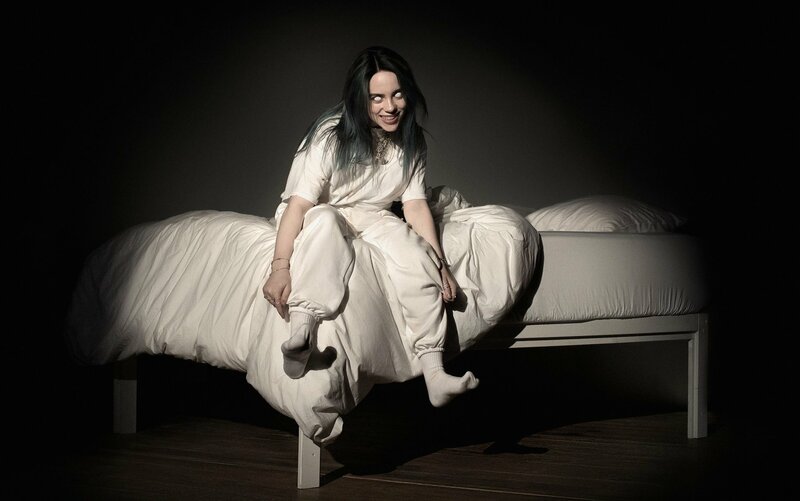 Billie Eilish, a 17-year-old pop singer, recently released her second debut album WHEN WE ALL FALL ASLEEP, WHERE DO WE GO? on March 29 receiving transatlantic success. Eilish second album hit the Billboard 200 charts securing the spot of number one, is the third woman to have a massive number of streams within the span of a week. The album is constructed of 14 songs, each having great meaning that many can relate to. Eilish has impacted the teenage community greatly, considering that she herself is one, she has written songs that various of her age can sympathize too. Hence why she has made a large mark in the music culture. WHEN WE ALL FALL ASLEEP, WHERE DO WE GO? is surely one that leaves her audience in deep thought. She has gained an image that many find controversial, being called “fake emo” and “fake depressed”, but with such thought put into her tracks in this album has provided great vulnerability that is respected by the spectator. It can be noted that her goal was to make a statement, a statement filled with fear and alienation. Eilish resembled her songs to “Batman” and not be saved by him; being left in sorrow. With song titles that are rather questioning, beats that are meticulous and lyrics of despair, Eilish has provided a message of strength. “Xanny” being a tribute to the friends she has lost through the use of drugs. “I Love You” projected the fear of loving someone to avoid heartbreak. “All Good Girls Go To Hell” poking fun towards individuals who only speak to someone for their own benefit and will turn their back on you. WHEN WE ALL FALL ASLEEP, WHERE DO WE GO? is filled with teenage anthems. Heartbreak, fear, insecurities, and strength is composed in an album of 14 songs. The reality of young adults is surely produced in this album and is heard through the headphones of a teenager daily.